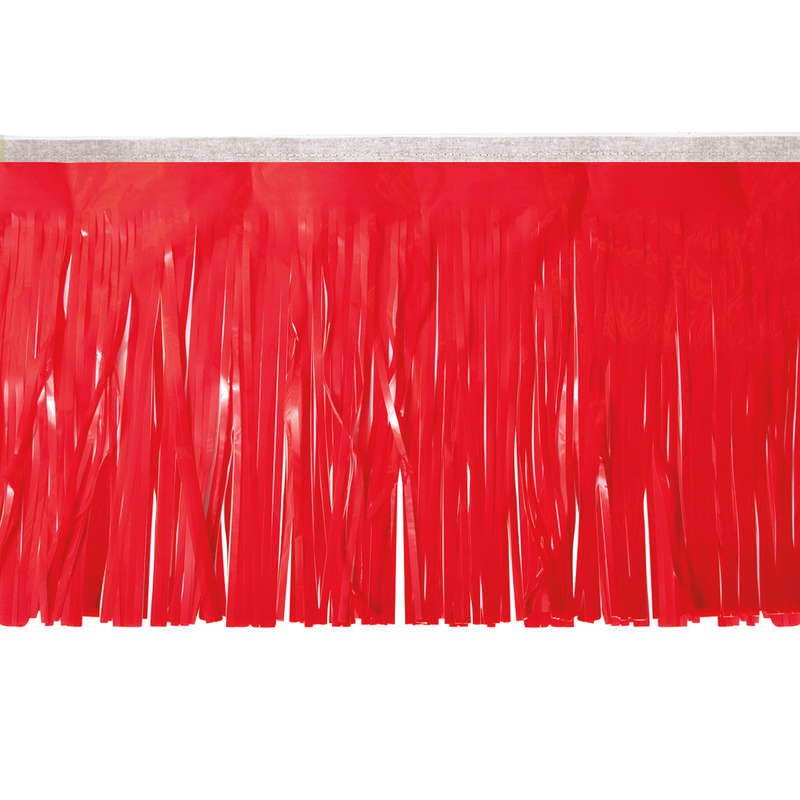 Fringe is the perfect option for parade float skirting, and it also makes a great birthday or holiday party decoration. Click a category below to start shopping for fringe. 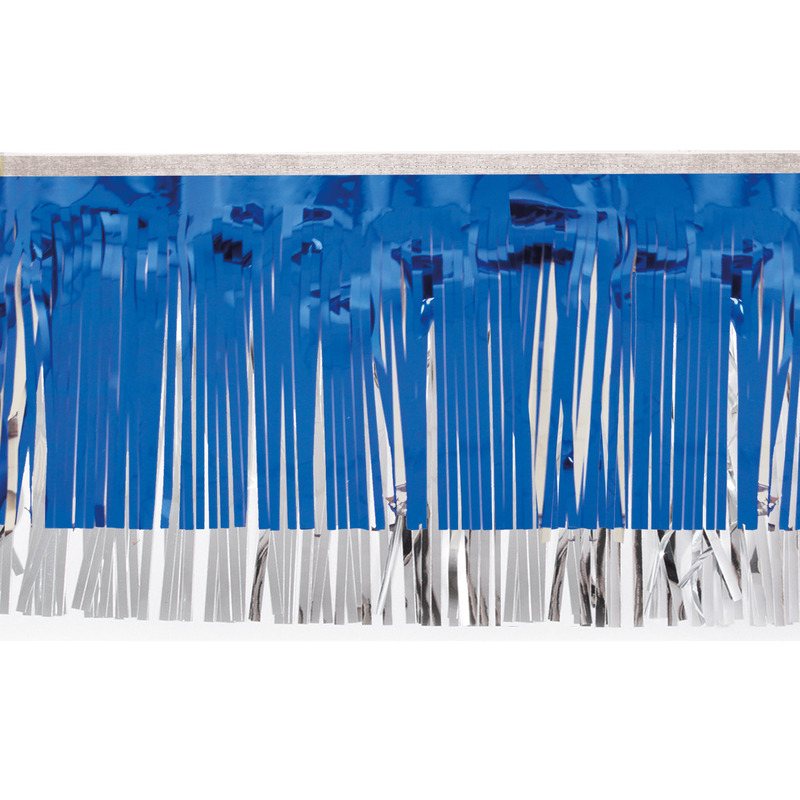 Constructed of 1.4-mil vinyl, fringe is a garland-like decoration that can be hung just about anywhere. Fringe adds a festive element to any party, and a parade float just wouldn't be the same without a fringe skirt around the bottom edges. Victory Corps carries a wide selection of fringe colors. We have fringe in a single color, as well as two-color options. Standard fringe has a little bit of a vinyl shine to it, while metallic fringe really stands out with its highly reflective surface. 15" fringe comes in 10' lengths, and 30" fringe comes in 12' lengths. 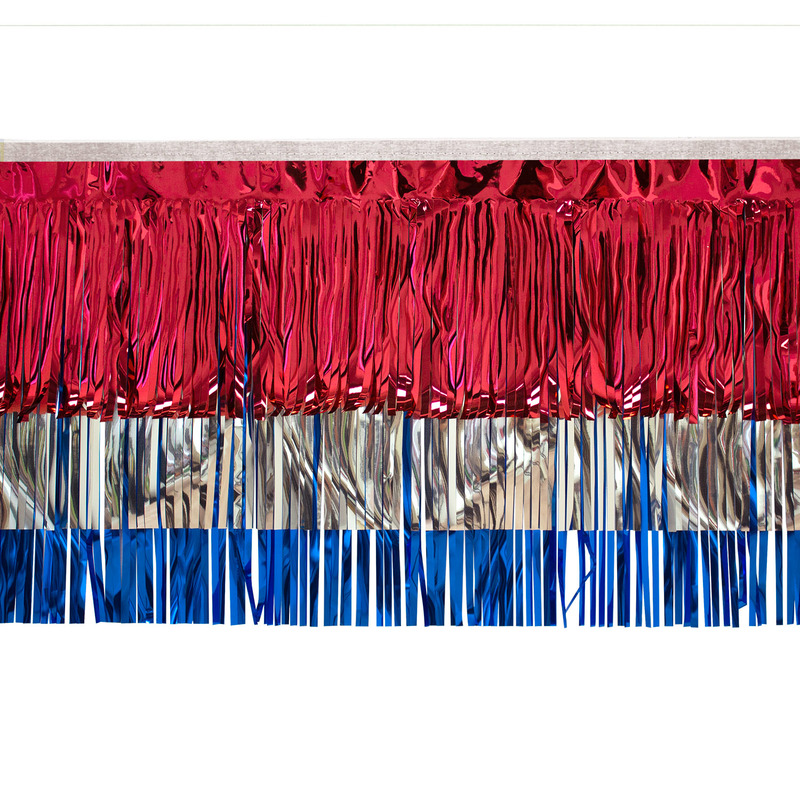 Fringe has a flowy look that hides the underside of your parade float and gives it the illusion that it's floating. In fact, this floating appearance is what the term "float" refers to. Fringe can also be used as a wedding car decoration. It can be attached using staples, double-sided tape or hook-and-loop fasteners. Fringe should not be used on vehicles moving over 7 MPH, so you should not attach it to your float or car until you arrive at the parade or wedding. At Victory Corps, we carry an enormous selection of fringe colors and options. We'd love to help you with your next big project, so give us a call or send us an email to see what Victory Corps can do for you. Fringe can be used as a table skirt, or it can be draped from the ceiling like garland. Fringe can also be hung in overlapping sections to create a multi-layered look. It comes in a variety of colors, making it appropriate for Christmas, 4th of July, Halloween, birthdays, or any other celebration you can think of.